>tortoise, Average tent trailer no. Off Road tent trailer with high clearance and off road tires, Yes. By the information provided I declare that your tent trailer is far to close to the ground to make it past Lee Flat. Ok-I am beginning to doubt if we can make it to Saline Sun or Mon via north pass with the gray tortoise-what about the south pass? Has anyone been in and out over Columbus Day? We are shooting for a 10-11 day stay thru Halloween. The gray tortoise is an off road tent trailer and we have a tundra 4x4 now -this is our annual trip & it would be a first time in many years to miss it. As Saline Valley, and in particular the lower and upper springs, have been and still are a place of "Traditional Public Forum", they cannot be closed because of the First Amendment Activity in that location. The Heratige Foundation reviewed this fact recently 10/16/2013 on C-Span with Bob Bishop (R-Utah - 1st District). Yes, the drive to Saline gets one away from everyday pressures. Do you have plans to go out there? Ugh that is a long drive. I'm out of work and one thing I always think about when looking a potential new job is the drive to Saline. Thanks Salt Peter for your response to my question regarding the gov't. shutdown and visiting Saline V. Given this issue and the road condition it shouldn't be too crowded. I may try in a few days. I've enjoyed visiting there since I was a kid with my Dad and uncle in the mid 1950's. Over the years I've encountered many challenging conditions but never a gov't. shutdown! There are good things about it being a national park but this isn't one of them. I have retired from Calif. to New Mexico so it's a much longer drive now. Thanks for the report. I'm glad you made it. I came back via South Pass last night. It took me 5 hrs 10 min to get to the springs from where the pavement ends and 6 hrs 30 min to get back to the pavement. I was very careful and slow, stopped many times to pile rocks and make the edges of ditches less steep. Still got a bit of a damage. There are areas of deep sand that certainly make it very difficult to pass. I felt my AWD kicking in many times. From my experience - if you have a high clearance AWD/4x4 vehicle with custom or built-in undercarriage protection and off road tires with spares, you'll have no problems getting in/out. Otherwise, I advise to stay home this time. As much as I like the springs, I doubt I am going there until the road improves. Tharut, the vw WILL NOT make it via north pass. Mine is a very capable modified Syncro and I have been on that road many times. But I wouldn't even try it in the present condition. Hmm. A lot of new visitors on the forum. Welcome. Please do some searching on the topics here and elsewhere. Saline Valley Road is in Inyo County. 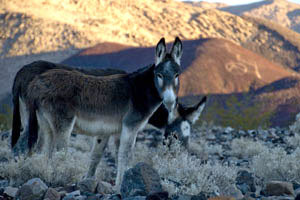 However it does access Death Valley National Park. I guess if you were out there and a ranger found you it could lead to a ticket. Hopefully you don't wind up stranded somewhere in the park needing assistance. I'm sure you would get unwanted attention once you were rescued. Thanks for the road info. Does the gov't. shutdown affect access to Saline Valley? Could one be ticketed for going in? Based upon Silver Bob's report on the North Pass Road, I would not attempt it in a VW van. I doubt it has enough ground clearance and since it has a rather long wheelbase (front to rear), I worry about getting through washouts. Even if the South Pass Road is much longer it is likely a better choice. North pass is definitely a no go. You should read all the posts on the Road Conditions topics, pictures too. 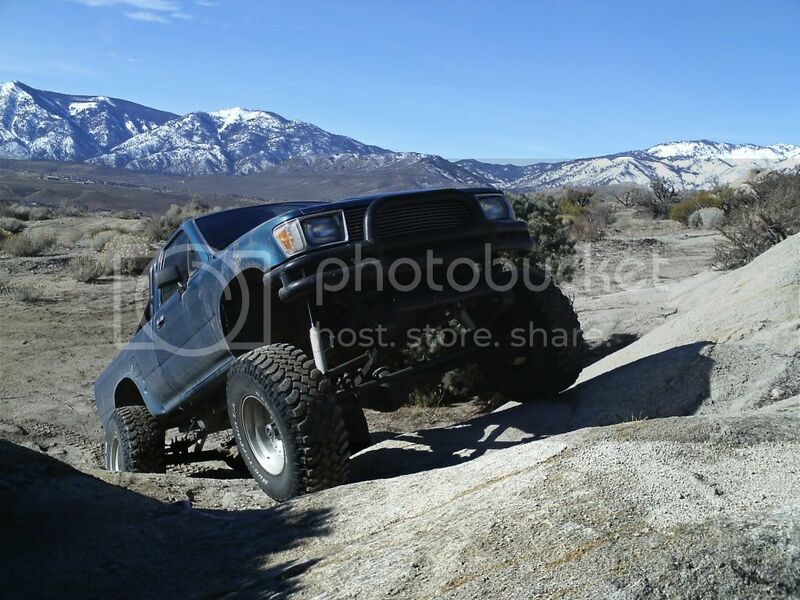 i'm new to this forum and actually it's my mom that is traveling out to saline valley. in fact, she is on her way out there as i type. she's in a vw van (she has made it out there in this vehicle in years past...). should i be worried? i will have cell contact with her until tomorrow morning. any info is much appreciated.